The self-described “Biggest Little City in the World” is growing up to be a not-so-little city, combining its traditional heritage as a transportation, mining, and gambling center with distinct features of a California satellite. Rapid growth has brought a more diverse amenity base and family-friendly environment that is quite desirable. A favorable tax climate and strategic location as a distribution point to northern California has generated commercial and industrial development. The city has a lively but somewhat quirky downtown mixing older casinos and entertainment venues with modern commercial buildings, convention facilities, and modern casinos. Gambling and entertainment don’t dominate as they do in Las Vegas to the south. Sparks to the east is a commercial and industrial center but is starting to grow as a less expensive suburban alternative. The Sierra Nevada and Lake Tahoe areas to the west offer a wide range of recreational opportunities, with national forests and world-class ski areas. The growth surge has led to considerable California-style sprawl into the desert, mainly south and northwest. Commercial zones close to downtown and the airport are also crowded and unattractive. 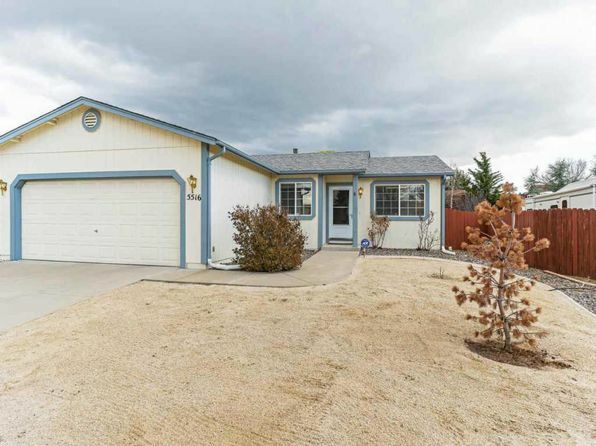 The more appealing residential areas lie in the rising Sierra foothills to the southwest. The negatives reflect the California influence, bringing rapidly increasing costs as well as air quality and traffic issues. Reno is located at the west edge of Truckee Meadows in a semiarid plateau lying in the lee of the Sierra Nevadas. To the immediate west, the Sierras rise to elevations of 9,000 feet to 11,000 feet. Desert hills to the east reach 6,000 feet to 7,000 feet. The Truckee River, flowing from the Sierras eastward through Reno, drains into Pyramid Lake. Landscape is primarily sagebrush desert with lush forests in the mountains to the west. The climate is high desert with daily temperature ranges often exceeding 45 degrees. While summer afternoon highs may exceed 90, a light jacket is often needed shortly after sunset. Nights with low temperatures over 60 are rare. Summers are dry and mild with occasional hot spells. Winter afternoon temperatures are moderate. The rain shadow from the Sierras blocks the brunt of Pacific storms in winter. Most precipitation falls from December through March, mainly as mixed rain and snow. Brief late afternoon thunderstorms are common in summer. Sunshine is abundant in all seasons. First freeze is mid-September, last is early June. The median home price in Sun Valley is $291,300. Browse Homes in this Range. 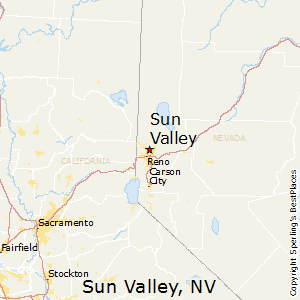 Compare Sun Valley, Nevada to any other place in the USA.